288 pages | 100 B/W Illus. "Our goal should be helping children see themselves as good learners, as lifelong learners. The impact of what they create, design, shape, and build will be known in the future, but the time for making it happen is now. 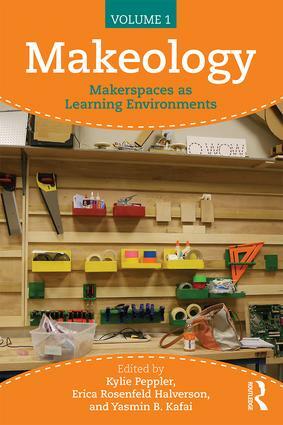 This book can increase the opportunities for making in educational settings by sharing the insights of many leading practitioners." Erica Rosenfeld Halverson is Associate Professor of Digital Media and Literacy in the Department of Curriculum & Instruction at the University of Wisconsin-Madison. Her work focuses on what it means to learn in and through the arts across a range of contexts, including out-of-school arts organizations, museums, libraries, and arts-based classrooms.